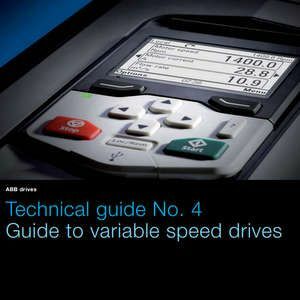 This guide continues ABB's technical guide series, describing different variable speed drives (VSD) and how they are used in industrial processes. Special attention has been given to electrical VSDs and especially to AC Drives. The guide tries to be as practical as possible. No special knowledge of VSDs is required, although basic technical know-how is required to fully understand the terms and descriptions used. In order to receive this download free of charge I am happy to share my contact details with the download sponsor, edie training centre. edie training centre would like to keep you up to date with their products and services. Please tell us the different ways they can contact you.